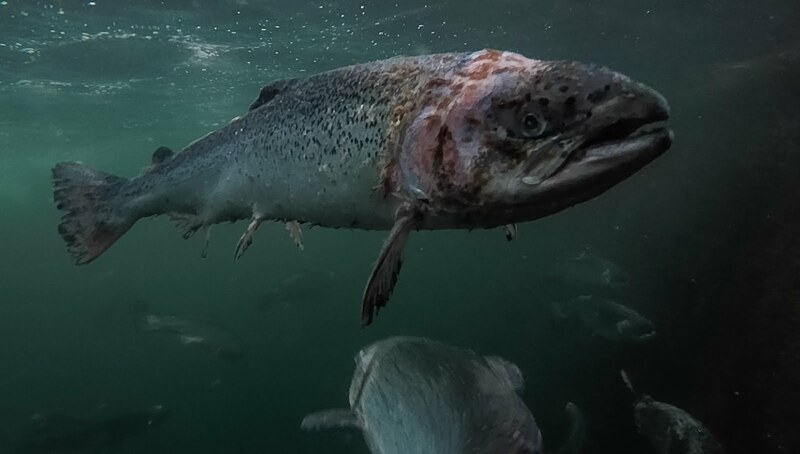 The recent discovery of the chemical Teflubenzuron at hundreds of time the legal limit in the environment of a Marine Harvest salmon farm in Scotland highlights the dangers of releasing chemicals uncontrolled into our waters. The old attitude of ‘dilute and disperse’ has in fact wracked havoc with our environment, both in the air and in the seas. Teflubenzuron is one of the chemicals used to try and control sea lice. These can harm and even lead to mortalities in the farmed salmon. Resistance to chemicals builds and sea lice are regularly recorded at levels where existing protocols require mandatory treatment. In the wild, salmon return to fresh water to spawn and the lice fall off. Captive in our bays, under farm factory conditions, conditions favour the congregations of sea lice. If there are a million fish on the farm with just 1 egg–bearing louse each, the farm may release 500 million lice larvae. Even infestations at levels below which they affect the caged fish can infect wild salmon at distances of up to 30 kilometres. Here in Ireland Marine Harvest, the Norwegian owned company that produces 80% of Irish farmed salmon, have stated that they ‘never used this medicine [Teflubenzuron] in our organic fish anywhere in Ireland, including Bantry Bay’. This, in fact, cannot be independently verified as the type, frequency of treatment, and volumes of chemicals used in any Irish salmon farm is not publicly available. The Regulatory Agency does not ‘hold’ this information and the companies (‘every stage of our production process is audited annually by independent bodies’) refuse it on grounds of commercial confidentiality. We do however have Marine Harvest’s EIS [Environment Impact Statement] for the Bantry Bay proposed expansion. In volume 2 of 3 (Appendices) It lists Teflubenzuron on the ‘Marine Harvest Medicines Positive List‘ to treat sea lice. Given that the Marine Harvest statement makes the point that Teflubenzuron is not used on ‘organic’ farms, let us look at two of the chemicals that are in fact approved by Marine Harvest for use on organic farms on the ‘Medicine Positive List’ in the EIS. These include Excis (cypermethrin) and AlphaMax (deltamethrin). Refered to in the EIS as ‘medicines’ or ‘chemotheruputants’, these chemicals are in fact ‘biocides’. Biocide is a word coined to match ‘advances’ in science in the 1940s. It is from bio (for ‘life’) and cides (a suffix for ‘the killing of the person or thing)’. Hence ‘pesticides’ and ‘insecticides’. Under the Biocides Directive, they are defined as chemicals used with the ‘intention of destroying, deterring, rendering harmless, preventing the action of, or otherwise exerting a controlling effect on, any harmful organism’. These chemicals come under the Biocides Directive as product type 18 – insecticides – but they do not appear on the Registry of Irish Biocides, as maintained by the Department of Agriculture. They kill life; medicine saves lives. These chemicals are extremely ecotoxic active neurotoxins. Arthropods, and particularly crustaceans, are highly susceptible. There are known effects on fish and, most sensitive of all, shellfish such as lobsters. Bathers and watersports may also be at risk. For this reason, the manufacturers of both products clearly indicate that there should be no release to environment. Even the Irish Medicines Board Information Sheets for these chemicals makes it clear that these ‘neurotoxins can only be applied to animals under specific conditions’, stating ‘Do not contaminate natural water with the product’. In the UK horses can only be treated with cypermethrin if a veterinary certificate is supplied saying that the horse will not be used for human consumption. If the product was classed as a biocide rather than a medicine in Ireland, as it is under the Biocides Directive, its use would not be permitted unless it could be ‘scientifically demonstrated that under relevant field conditions there is no unacceptable effect’. According to the Galway Bay EIS (prepared by the applicant, the Government agency Bord Isca Mhara), ‘The volume of chemical used to treat a single pen of salmon [36 pens are proposed] is estimated at 3,333 cubic metres’. For comparison, an Olympic swimming pool holds 2,500 cubic metres. This will be discharged directly into the (once) natural waters of our Bays in spite of the fact that the manufactures do not support direct release of these neurotoxins. The basic tenet of toxicology is that ‘dose makes the poison’. As the scale of emission increases, so do the risks involved. Exposure of non–target organisms is facilitated by the sheer volumes of chemicals that will be emitted. To save money, the industry is introducing well boats. Into these floating swimming pools nets of fish, once anaesthetised (Tricaine mesilate, ‘permitted for organic fish’) are immersed in these biocides. After treatment the contents are flushed into the sea, creating massive poisonous plumes without any attempt to formalise the environmental risk assessment within the existing EU legal framework. 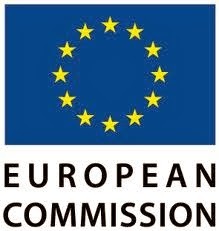 THE European Commission has reopened an investigation into salmon farming in Ireland following the revelation that the country's Department for Agriculture, Food and the Marine concealed vital information and relied on bad science when presenting their case. In 2009 the European Commission investigated the impact of sea lice from salmon farms on wild salmon stocks. They repeatedly requested viewpoints of Inland Fisheries Ireland, the government body responsible for the conservation of wild salmon. IFI prepared a file, but the Department for Agriculture refused to forward it as it stated salmon farming put nearby wild salmon stocks at serious risk. Instead, the Department of Agriculture presented a case that relied on a single study by the Marine Institute which suggested sea lice from salmon farms pose no problem at all. On the basis of this evidence the case was closed in June 2012. During this time Bord Iascaigh Mhara was also using this faulty research to promote the massive increase in salmon farming around Ireland's coast. However, in August the Marine Institute's research was discredited by an international team of experts. The damning critique was published in the Journal of Fish Disease – the world's most authoritative publication of the topic. Little has been heard of this study since, and the Marine Institute has yet to respond. Meanwhile, Save Bantry Bay and Friends of the Irish Environment submitted Freedom of Information request for all documents relating to the EU investigation. Upon receipt of the documents it quickly became apparent vital evidence was suppressed, and requests were sent for the European Commission to reopen their investigations. "The Department of Agriculture's history of presenting bad science as fact, and suppressing evidence of the negative impacts of salmon farming has finally caught up with them," said Kieran O'Shea, chairman of Save Bantry Bay. Alec O'Donovan, secretary of Save Bantry Bay, added: "It is time for Ireland's salmon farming policy and the aquaculture licensing system to be opened to scrutiny. While the European Commission investigations may be confined to the impacts of sea lice, we ask that the Irish Government initiate a full independent review covering all aspects of the national salmon farming agenda." (24 November 2013) - Salmon Watch Ireland welcomes the decision of the European Commission to re-open its file on complaints submitted to it in 2009 about the impact of salmon farm generated sea lice on migrating juvenile wild salmon. The complaints had been lodged by Salmon Watch Ireland (‘SWIRL’) and Friends of the Irish Environment (‘FIE’). The re-opening of the file has resulted from FIE drawing the attention of the Commission to the fact that an analysis of data about the impact of sea lice on juvenile wild salmons by the Marine Institute has been strongly contested by an eminent group of international scientists. In addition to the re-opening of the Commission file, the Irish Ombudsman is conducting an inquiry into allegations that the Department of Agriculture, Food and the Marine withheld from the Commission’s investigation of the SWIRL/FIE complaints a report from Inland Fisheries Ireland which gave a very different picture about the impact of sea lice and Irish efforts to control it, than that put forward by the Department; the Department has responsibility for both the development and the regulation of salmon farming. The Ombudsman has recently extended his investigation to include the actions of the Department of Foreign Affairs in the matter. The Commission has re-opened its file on the sea lice issue as a result of its’ attention being drawn to a paper in the Journal of Fish Diseases in August 2013 which seriously questioned the analysis of sea lice data by a number of scientists from the Marine Institute (‘MI’) published in the same journal earlier in 2013. The Marine Institute analysis (in a version published in papers in 2011) was relied on by Bord Iascaigh Mhara in the compilation of its’ Environmental Impact Statement for the Galway Bay super-salmon-farm project. The authors of the August 2013 paper, led by Professor M Krkosek of the University of Toronto, concluded that were ‘fundamental methodological errors’ in the MI analysis and that rather than sea-lice having a 1% impact on survival rates of salmon at sea, the true rate is of the order of 34%. Despite undertakings to do so, the MI have to date failed to respond to the Krkosek paper’s criticisms. Commenting on these developments, the chair of the board of Salmon Watch Ireland, Niall Greene, said: ‘The decision of the EU Commission to reopen its file on the 2009 complaints of Salmon Watch Ireland and Friends of the Irish Environment, about the impact of salmon farm generated concentrations of sea lice on wild salmon, is a very significant development. Taken together with the Irish Ombudsman’s investigation into allegations that the Department of Agriculture, Food and the Marine failed to transmit critical information relevant to the Commission’s investigations of the complaints, this means that the behaviour of the Department, of BIM and of the Marine Institute on salmon farming issues is once again now under close scrutiny’ . MR RICHIE Flynn wishes Minister Coveney would use his powers to fast-track decision making on salmon farms, reports The Southern Star on October 19th. Would this really benefit rural coastal areas such as West Cork? Quite the contrary, believes Save Bantry Bay. Far from boosting local economies, salmon farming could be disastrous for these areas, destroying fish stocks, water quality, valuable tourism businesses and the angling sector. Far from idling in a sea of apathy, as Richie Flynn suggests, Minister Coveney is actually making considerable efforts to increase Ireland’s farmed salmon output at an unprecedented rate. His plan is for Bord Iascaigh Mhara (BIM) to develop a series of gargantuan salmon farms around the coast. The first, in Galway Bay, would alone double Ireland’s farmed salmon production in one fell swoop. Unsurprisingly this proposal has met with considerable opposition – just as the proposal to expand salmon farming in Bantry Bay has. Many of the objections focused on the impact of sea lice from salmon farms on wild salmon and sea trout. Quick to respond to the controversy, BIM contracted a top marketing agency and the big sell began. Soon came BIM’s and the pro-salmon farm lobby’s next big trump – the publication of a series of research papers by the Marine Institute which claimed the exact opposite to all other research to date, namely, that sea lice from salmon farms do not have a negative impact on wild salmon. One paper actually stated there are more thriving salmon rivers in areas near fish farms than elsewhere. It didn’t take long for BIM, the Irish Farmers Association and the pro-salmon farm lobby to be using words like ‘definitive’, ‘conclusive’, ‘unequivocal’ when quoting these studies. The public was told that salmon farming is 100% sustainable and will be the economic salvation of coastal areas in south-west Ireland. Now, all such claims have ceased. Instead a very obvious silence reigns. Why? The Marine Institute’s research has been rubbished by an international team of experts. It turns out that rather than showing sea lice have no impact, their data in fact shows they’re detrimental to the future of wild salmon. When the international team re-analysed the figures using more accepted methods, it proved sea lice are in fact causing a one-third decrease in nearby wild salmon populations – a figure that is almost identical to what other research studies found. Given the backbone of the argument for the Bantry Bay and Galway Bay salmon farm was the Marine Institute’s research findings, BIM’s silence, in particular, is profound. For it is now clear, if the mega farms go ahead, some of Ireland’s most famous salmon rivers will be at risk of collapse. So it seems that the Marine Institute, a government agency whose responsibility is impartiality, is happy to produce bad science, specifically to support a particular government minister’s policy. Its reputation lies in tatters. To make matters worse, throughout this, Inland Fisheries Ireland (IFI) scientific experts and environmental groups have been attempting to warn Minister Coveney that he is being misled. Their voices have been quickly shot down, with the response from government being that the Marine Institute’s research has given the final answer. Shockingly, it turns out the EU case investigating the impact of sealice from salmon farms on wild Irish salmon closed following the Department of Agriculture actively withholding information from the European Commission. Had all the information been submitted, the case may have had a very different outcome. IFI had specifically prepared a report following a request from the European Commission that clearly noted the Department of Agriculture’s views were ‘not consistent with available information’. It made it quite clear the bulk of research pointed to sea lice from salmon farms having a significant and serious impact on wild salmon. But the commission did not get this information. 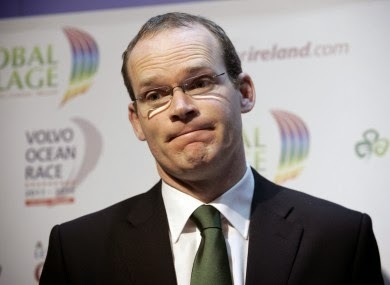 When Simon Coveney became minister, pressure was put on IFI’s supervisors at the Department for Communications, Energy and Natural resources not to submit IFI’s views. The EU has now received information contained within the dossier released under the Freedom of Information Act and is considering reopening the case. Today, Ireland is under threat of EU fines of €4m due to our government’s apathy in implementing environmental laws. Is this really what Richie Flynn desires? Maybe we should be thankful of that much-criticised ‘red tape’ in place to slow down the likes of BIM, IFA and the salmon farming lobby’s attempts to foist polluting industries on us, giving jobs at any price. • Alec O’Donovan is secretary of the Save Bantry Bay group. 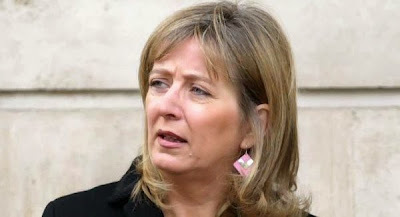 In one of her first actions as EU Ombudsman, Emily O’Reilly has instructed her office to seek an explanation from the European Commission’s Environmental Directorate as to why they have not replied to allegations of maladministration brought by Friends of the Irish Environment in June of this year. The allegations, contained in a 264 page dossier submitted to the Commission, allege that the European Commission failed to complete the terms of its investigation into Ireland’s regulation of sea lice on salmon farms and their impact on wild salmon. FIE alleges that the terms of the investigation sought the ‘direct views’ of Inland Fisheries Ireland as the body responsible for salmon in Irish rivers. Citing communications obtained through requests under Access to Information on the Environment, it claims that a report entirely damming of the official Department of Agriculture submission to the EU was prepared by Inland Fisheries Ireland in 2010 and sent to the Department of Agriculture. The Department of Agriculture suppressed the Report and told the Commission they had not received it, according to correspondence obtained by the environmental group. Consequently the investigation was closed and the Department of Agriculture announced a plan to create nine mega salmon farms along Ireland’s western bays. A licence application for the first, in Galway Bay, is now before the Minister for Agriculture. The Irish Ombudsman has opened investigations into the role the Department of Agriculture in allegedly suppressing the Report. It has recently extended the investigation to the Department of Foreign Affairs, who acted as contact point for the EU, for maladministration in not ensuring the requested Report was provided by Ireland.